on Thursday, 06 March 2014. 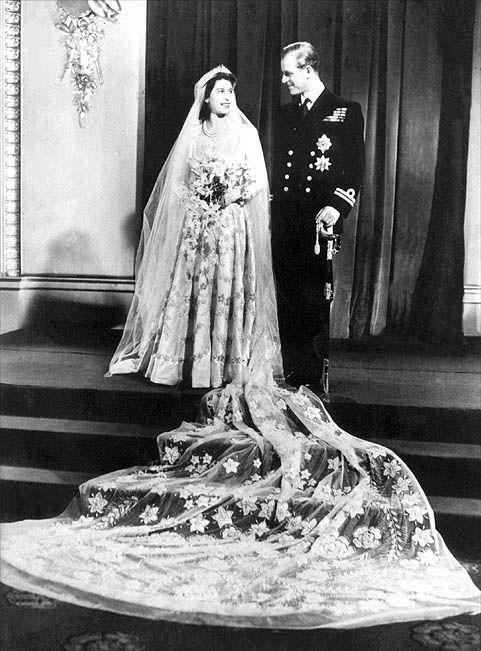 On the back of our last blog about the V&A's forthcoming exhibition on wedding dresses, it suddenly got us thinking about all the amazing iconic wedding outfits that we have seen celebrities wearing over the years. A few of our favourites include Dita Von Teese's amazing purple Vivenne Westwood creation, when she married Marilyn Manson. Made us think of Scarlett O'Hara. Then there is Gwen Stefan's dress by John Galliano for Dior - we love the dip-dyed pink effect. Then there is the famous Yves St Laurent smoking jacket worn by Bianca Jagger, or Audrey Hepburn's sweet tea-length dress designed by Balmain. All of them a sheer joy - click the link to see images of these beautiful brides!